Q. How to purchase on the site? Q. Which currency should I select? Before checking out your shopping cart, please select the correct currency (top left corner) for your order. Sign up a PayPal account is optional. If you do not wish to sign up a PayPal account, please use "Pay with my Credit / Debit Card" when performaning the payment trasaction. Q. How to change my account personal information anI d shipping address? Q. I forgot my Password for my account. How to retrieve it? - Please send an email to our customers service email at info@craftpassion.com with the message title “Request to cancel order” in order to inform us about the cancellation order. - Orders that are in shipping or shipped will not be able to cancel. 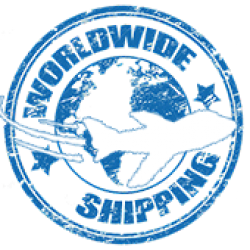 Delivery usually will takes within 3 business days to pack and send, depending which shipping method you are using and which country are you sending to. 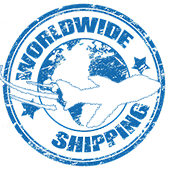 Read more on Shipping & Return Policy. Q. Why I did not receive any updates on my order? We sent out update through email to you when we have processed and delivered your order. If you did not receive the update, please check your spam folder in your email system. In order to prevent the email fell into spam folder again, please un-spam the email then add info@craftpassion.com and billing@craftpassion.com in your contact address. Sorry that we're unable to clear your doubts in the F.A.Q page. Please kindly contact us for further assistance.